Originally introduced in 2016 in platinum with a no-nonsense black dial, the Datograph Perpetual Tourbillon presented in a white gold case with a pink gold (or salmon or copper) dial. 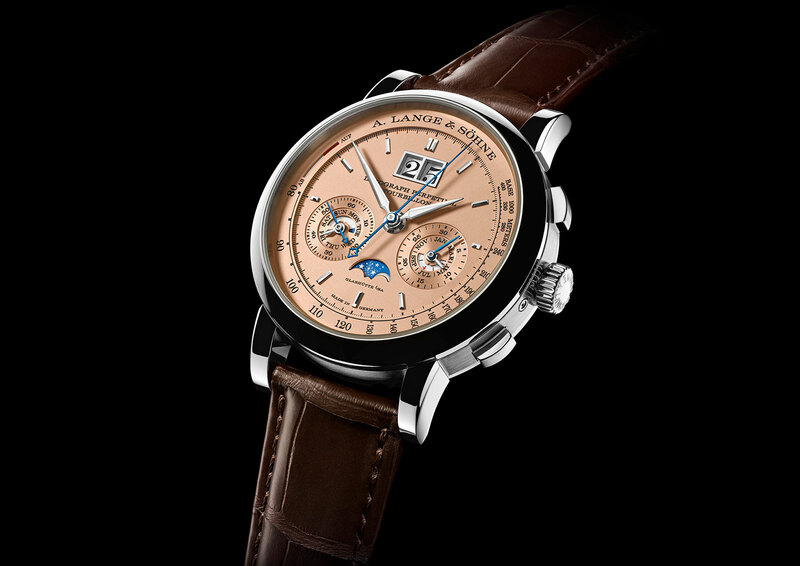 The metallic pink dial is actually solid pink gold, instead of solid silver as is standard for Lange. The colour is a fashionable shade today but a first for Lange. Dial colour aside the watch is identical to the original version. The white gold case is 41.5mm in diameter and 14.6mm high. 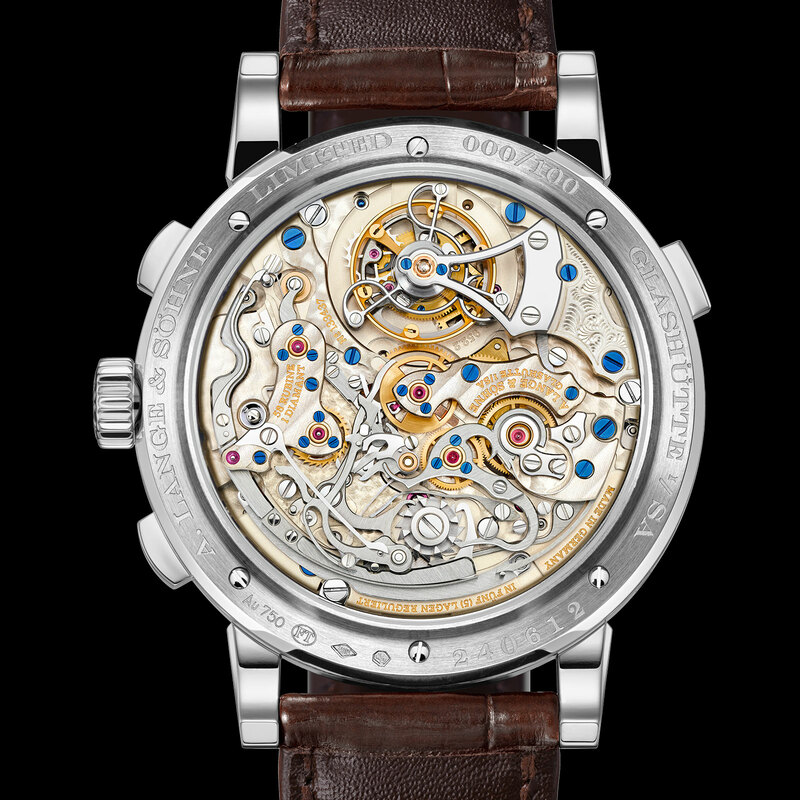 Inside is the hand-wound L952.2, made up of 729 parts and boasting a 50 hour power reserve. It’s equipped with a chronograph, tourbillon, perpetual calendar as well as a discreet power reserve indicator on the dial between nine and ten o’clock. 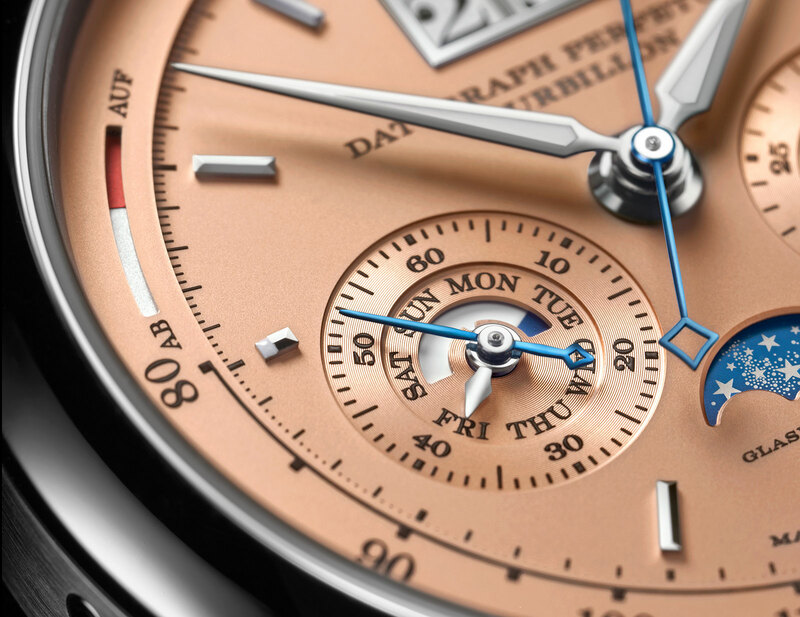 The Datograph Perpetual Tourbillon with a pink gold dial (ref. 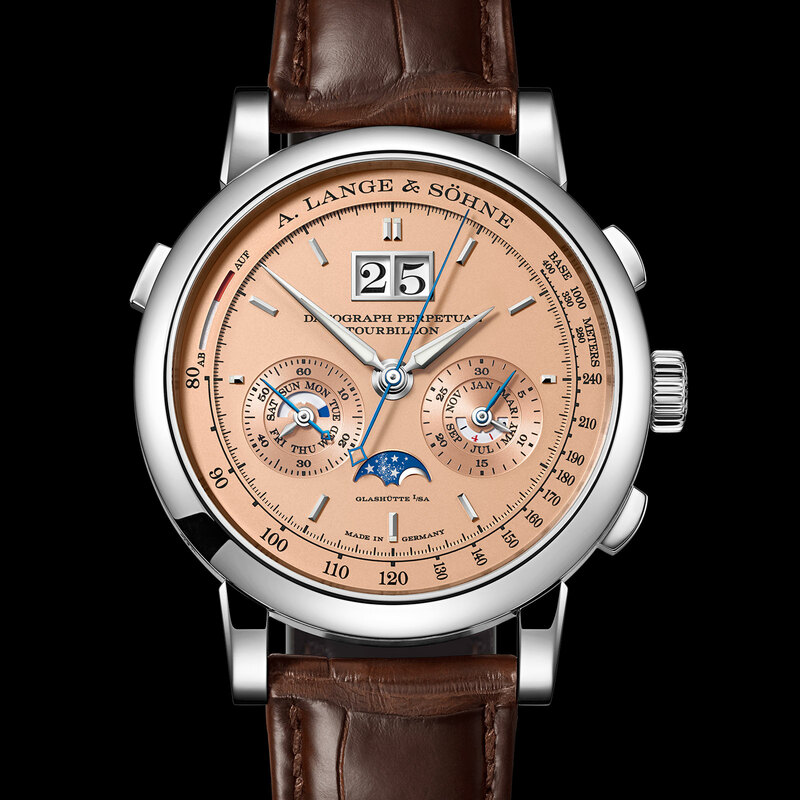 740.056) is limited to 100 watches, priced at €285,000 including 19% German tax.